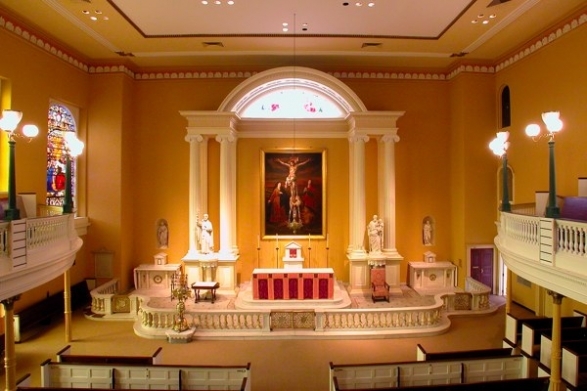 Old St. Joseph’s, the oldest Catholic Church in Philadelphia founded in 1733 by the Jesuits, will offer Lenten Choral Vespers on Sunday, Feb. 24 at 4 p.m. This solemn prayer service will include readings and choral accompaniment by the Schola Cantorum and Liturgical Choir. All are welcome to attend. Old St. Joseph’s Catholic Church is located at 321 Willings Alley in Philadelphia.